Great news! Just received a request for another commissioned painting of the beautiful Cincinnati skyline. The client knew exactly what they wanted, and as we began to talk the best way to truly bring to life their vision was to meet in front of the city and capture the idea. After a taking few photos, some smiles and a high five we quickly aligned on this reference visual to inspire the next Cincinnati painting. Stay tuned for the progress, there will be a 30″ x 40″ acrylic on canvas painting inspired by this photo. Enjoy! 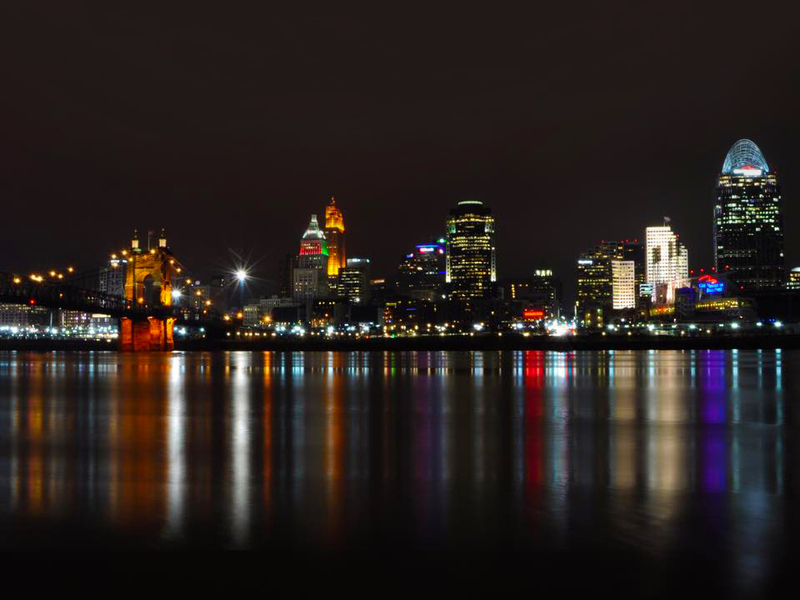 This entry was posted in photography and tagged Cincinnati, Cincinnati Artist, cincinnati fine artist, Cincinnati Paintings, Cincinnati Photography, Cincinnati Skyline, Cincinnati Skylines by jefferyjohns. Bookmark the permalink.